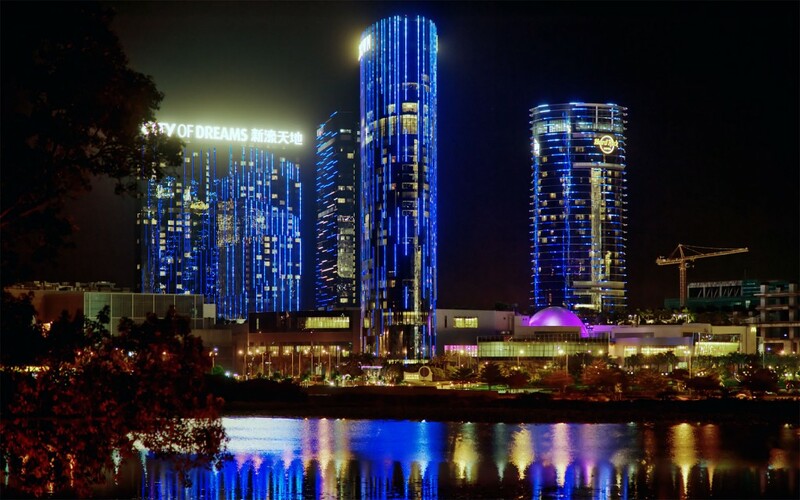 City of Dreams Macau net revenue was $958 million, up from $747 million in Q3 2012. City of Dreams Macau Adjusted EBITDA of $298 million, up 46% from $204 million last year. City of Dreams Macau mass table games revenue grew 73% year-over-year, the primary driver of the improvement in Adjusted EBITDA. Altira Macau revenue was $242 million, up from $216 million. Altira Macau Adjusted EBITDA remained at $30 million, flat from Q3 2012. Mocha Clubs revenues grew 9% to $40 million, Adjusted EBITDA increased 20% to $11 million. Studio City remains on budget and on track to open in mid-2015 with clear progress being made on the main superstructure following the successful completion of the foundation and piling work. This cinematically-themed integrated resort located in Cotai represents a powerful and complementary addition to our current portfolio of operating assets in Macau, offering a unique array of entertainment and interactive attractions which will cater to a broad range of customers in Macau and help drive diversification of the Macau economy. We recently announced City of Dreams Manila as the brand of our integrated casino resort in the Philippines which, together with an ultra-luxurious Crown Towers branded hotel, demonstrates our commitment and confidence in this exciting leisure and entertainment market. We believe our experience in developing and operating integrated resorts in Asia, our unique competitive position in the VIP segments and experience in delivering world-class entertainment, together with our strong local partner, means we are in a unique position to capitalize on the economic growth in the Philippines and the region, and support the Philippine Government’s leisure and tourism objectives. City of Dreams Manila is Melco Crown Entertainment’s first foray outside of Macau, representing the next step in our mission of becoming the leading gaming and entertainment company in the region. We continue to investigate opportunities in other key Asian markets where they meet our strict approach to the deployment of capital, including Japan. The mention of Japan is noteworthy as many believe a casino bill will be passed during the next legislative session, as a means of housing and providing more entertainment to tourists in anticipation of the 2020 Summer Olympics in Tokyo. Prime Minister Shinzo Abe is a supporter of the casino bill, expected to generate $10 billion a year in economic benefits, and his high approval ratings significantly increase the likelihood of the it being passed. Many analysts see Japan becoming the second biggest gaming market in the world should the bill go through, surpassed by only Macau. Melco Crown stated in September that they would invest more than $5 billion in Japan casino resorts if granted permission to do so. The opening of Studio City Macau and City of Dreams Manila will drive huge growth for Melco Crown alone, but the possibility of a Japan property should be viewed as a huge potential catalyst for shares. Melco Crown Entertainment has a bright future and we expect them to continue to outperform as Macau continues to thrive. Their strong quarterly results support our prior recommendation of MPEL, and they remain one of our top picks.